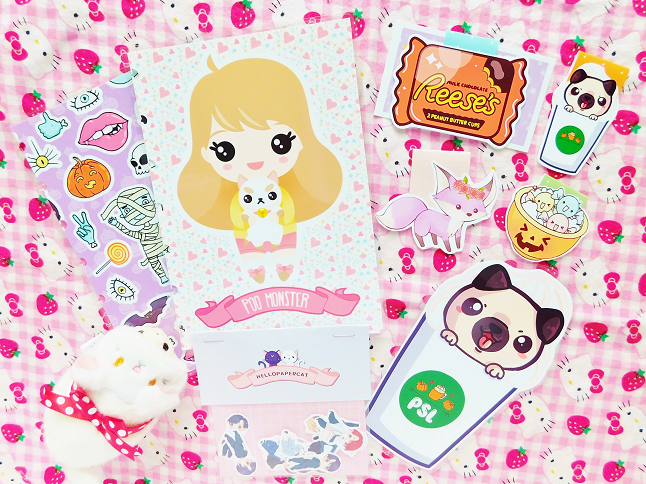 What made me want to place an order from Hello Paper Cat was because Seriya (the owner) had just released her Halloween collection and she was giving away a freebie bookmark (which you will see later) with every order. She often gives out select a freebie with each order and always has some sort of coupon code on her page so make sure to follow her on. She often gives out select a freebie with each order and always has some sort of coupon code on her page so make sure to follow her on Instagram. I know I had a problem with my first order from Hello Paper Cat but since then the quality has definitely improved since then. 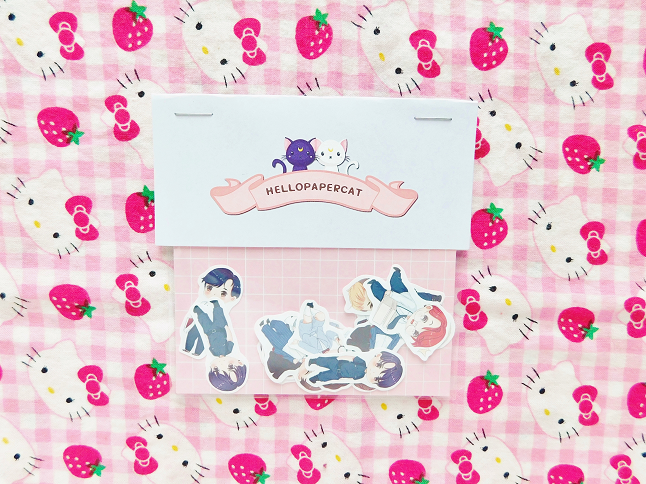 I definitely plan on purchase more from Hello Paper Cat from now on! 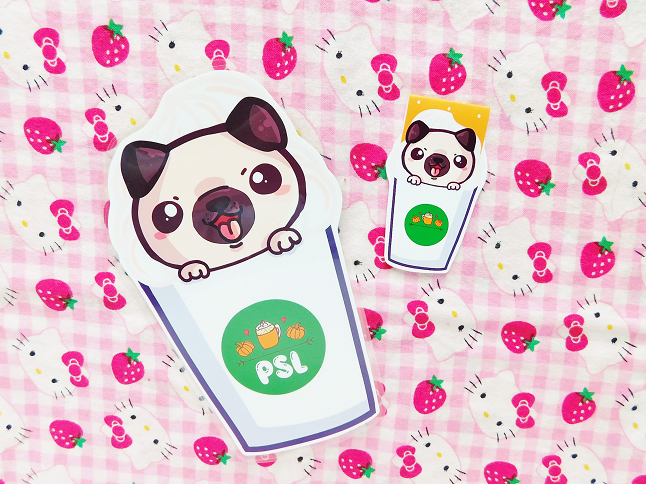 I only ordered the Pugkinspice Latte and Halloween Candy Dish magnetic bookmarks but I received two extras! 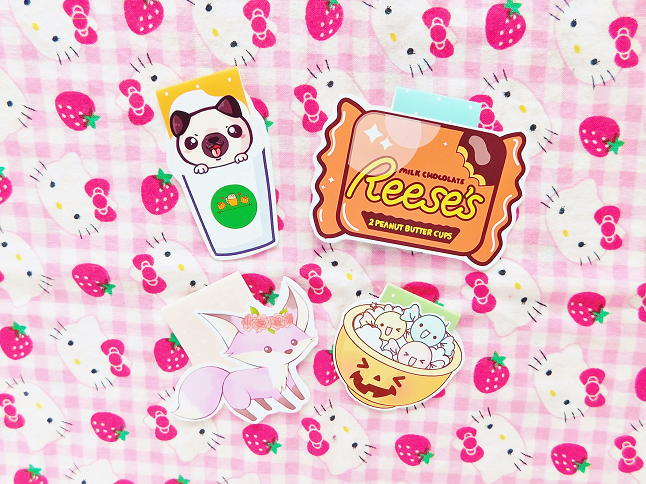 The Peanut Butter Candy bookmark was a freebie when you placed your order over the weekend, which I did because Reese's are one of my favorite candy. That adorable forest fox was a complete surprise though! It reminds me of Lucy if she was lavender and wore a flower crown. The Pugkinspice Latte is such a cute illustration so I also got the page marker. It's quickly become my favorite planner accessory! 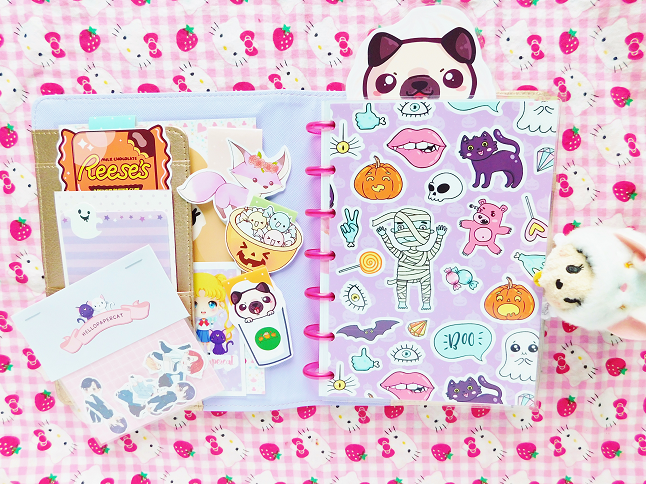 Hello Paper Cat also sells planner dashboards that you can pick for various types of planners. Thankfully they have some for the Mini Happy Planner so I bought two new covers for mine. 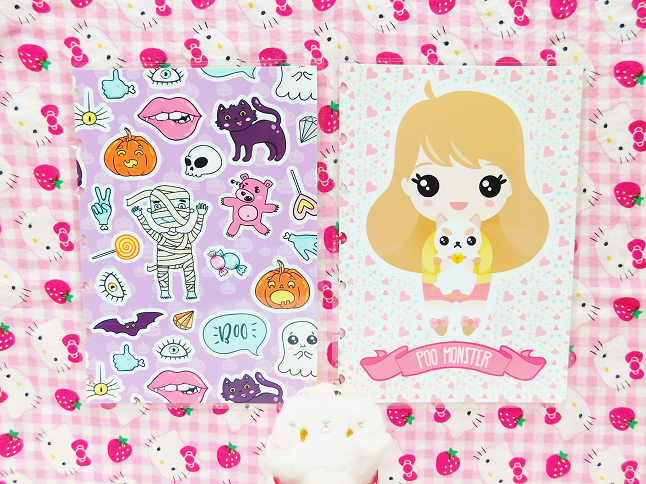 I choose the Kawaii Halloween planner dashboard because I wanted a Halloween cover and this one was so cute and lavender (one of my favorites colors). I also bought the Poo Monster dashboard because I wanted this one last time I ordered from Hello Paper Cat. Last but not least while I was browsing I saw that there were some K-pop related items but the BTS mini stickers flakes caught my eyes the most I mean they are dressed up in such cute outfits that I couldn't pass these up! There are also BTS bookmarks, a pouch, and a dashboard (which I almost bought but I didn't want to seem like a fangirl, lol). HPC also has a few other K-pop related products but BTS was the only whole group that I saw so I went with them plus I'm currently obsessed with their new album! I hope Seriya adds more K-pop stuff!